Facebook is officially a teenager! 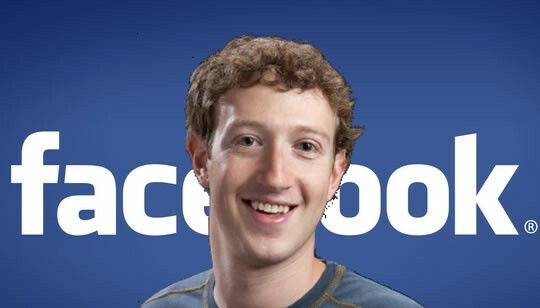 The fledgling social network Mark Zuckerberg launched as a Harvard student turned 13 years old on Saturday. It’s hard to imagine a world without Facebook, where an average of 1.23 billion people go every single day to catch up with friends and find out what’s happening in the world. Here’s a look back at 13 people, milestones and moments that helped shape the Facebook we know today. Awww... They sure do grow up fast, don’t they? Mark Zuckerberg, Dustin Moskovitz, Chris Hughes and Eduardo Saverin launched “The Facebook” on February 4, 2004. The social network was initially limited to fellow Harvard students. The next month, Facebook expanded to Stanford, Columbia, and Yale. Imagine how different birthdays would be if Facebook hadn’t launched the wall feature on September 1, 2004. By December 2004, one million people were active on Facebook. That’s cool and all, but you know what’s cooler? One billion. In 2005, Facebook expanded to over 800 universities and added high school networks. The Facebook ditched the article and became known as Facebook, effective September 20, 2005. It just has a better ring to it, don’t you think? How did we manage before we were able to see photos of friends’ lunches and babies every single day? Facebook Photos made its debut on October 1, 2005. Facebook was ahead of the curve and launched for mobile devices in 2006. It’s proven to be a smart move. Facebook reported that 84 percent of its advertising revenue for Q4 in 2016 was from mobile users. At the time News Feed launched, Facebook had around eight million users. Usage of the site doubled overnight. It’s hard to think of Facebook without News Feed, but not everyone was initially thrilled. An estimated one million users joining “Facebook News Feed protest groups” arguing the feature was too intrusive, showing every little moment, including who friended whom, and break-ups. Much of Facebook’s revenue comes from advertising. In November 2007, Facebook launched a self-service platform, making it easy for businesses to put their advertisements on Facebook. It has paid off. During its most recent earnings call, Facebook reported $8.81 billion in revenue during its quarterly earnings, $8.63 billion of which was from advertising. Facebook held its initial public offering on May 18, 2012. The IPO was one of the largest ever, valuing the company at $104 billion. It came just four days after Zuckerberg’s 28th birthday. Today, Facebook’s market cap is more than $370 billion. On October 4, 2012, Facebook announced it had passed the one billion user mark. According to its last earnings call, Facebook now has 1.86 billion monthly active users. Facebook has been used to help raise awareness and resources for important causes. Remember the ALS Ice Bucket Challenge? Many of the 17 million Ice Bucket Challengers’ videos were shared in News Feed, inspiring friends to take the challenge. The fundraiser went viral and raised tens of millions of dollars for the cause. Another initiative, the 22 push-up challenge, is now spreading on Facebook to raise awareness for veteran suicide prevention.